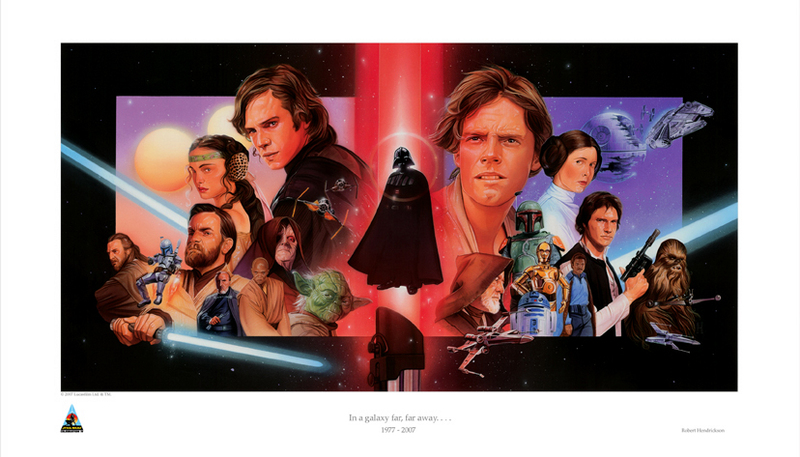 “In a galaxy far, far away…” Star Wars Celebration IV Limited Edition Print celebrating 30 years of Star Wars. Available exclusively at Celebration IV in Los Angeles, CA. Limited to an edition size of 250 hand signed and numbered 16″x28″ lithographs available for the price of $40.00. Padmé Amidala is depicted in her Naboo picnic outfit on the left side of the image between the twins suns of Tattooine with other characters from the prequel trilogy. 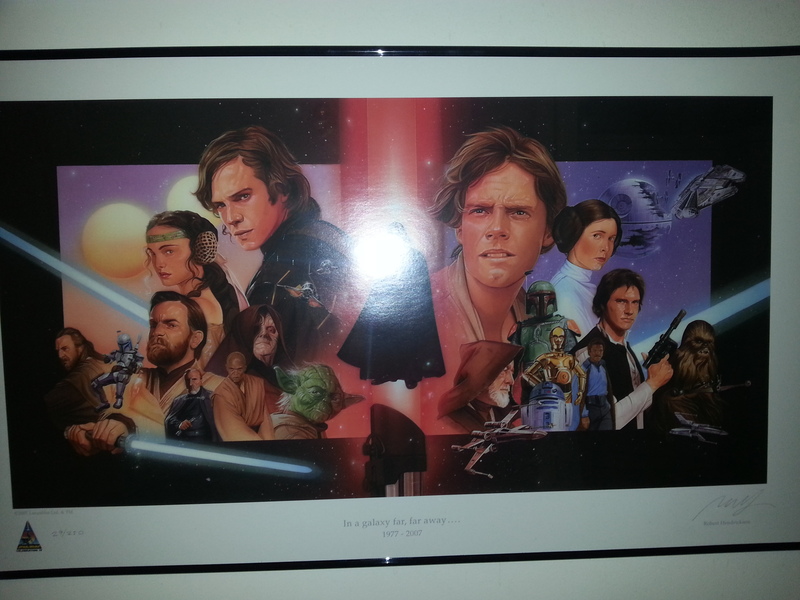 I acquired the print at the Star Wars Celebration IV Art Show on May 24, 2007. 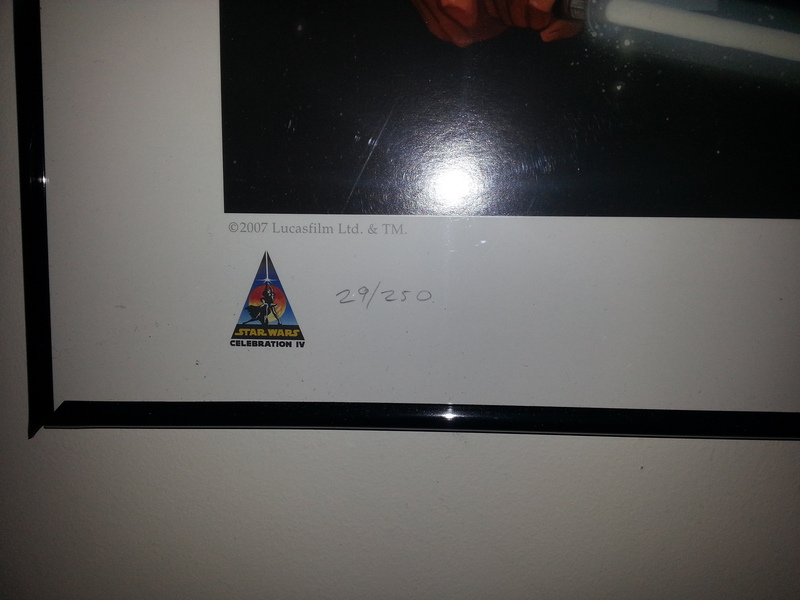 This is the second print from Celebration IV to be featured following Terese Nielsen’s on Day 1.